[Picks of the Month] April 2018 – I ❤ Old Games! Here we are with the usual appointment on the first day of the month. And happy 1st of May to everybody! 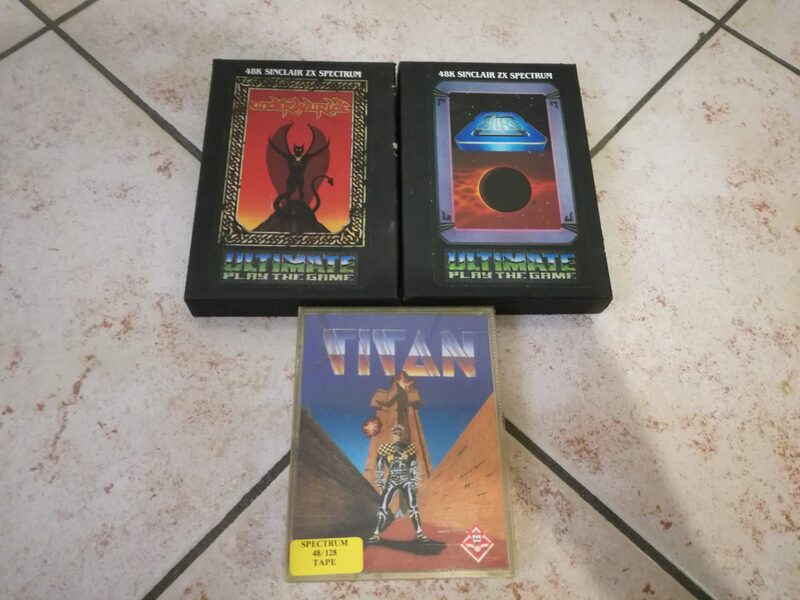 Even though at some point during the month I was almost sure I wouldn’t have found any ZX Spectrum game I stumbled upon some auctions and in a few days I was finally able to buy, along with Titan, two Ultimate Play The Game titles, Alin 8 and Underwurlde. UPTG is for sure one of the 2-3 companies I love the most when we talk about the ZX Spectrum, since they developed some real impressive and successful games like the one I’ve just bought and Jet Pac, Atic Atac, Sabre Wulf and one of the first game I’ve ever played, Pssst. Another thing I love about their game is the care they put in the packaging: the two boxes look like an old deck of cards like Tarot or something and they surely add value to the titles themselves. In April I’ve bought also two PC games, both very cheap. 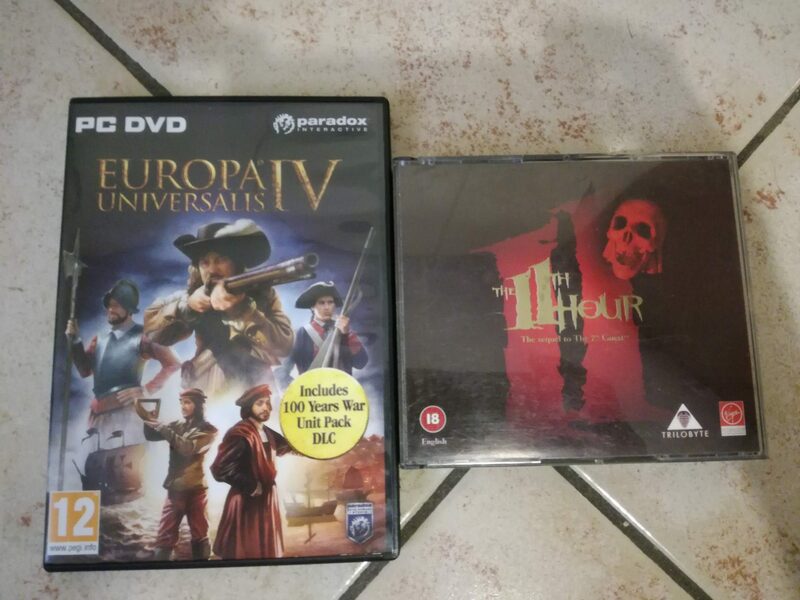 The first is Eurpoa Universalis IV, I already have installed on my PC (but is not the…ehm…original version…) and the second is a game I’ve heard about many times but never tried, The 11th Hour, sequel of The 7th Guest, one of the first “killer app” for the then new CD-ROM device. The plot and the atmosphere of the game look very promising so I’ll probably install it on my aging laptop very soon. 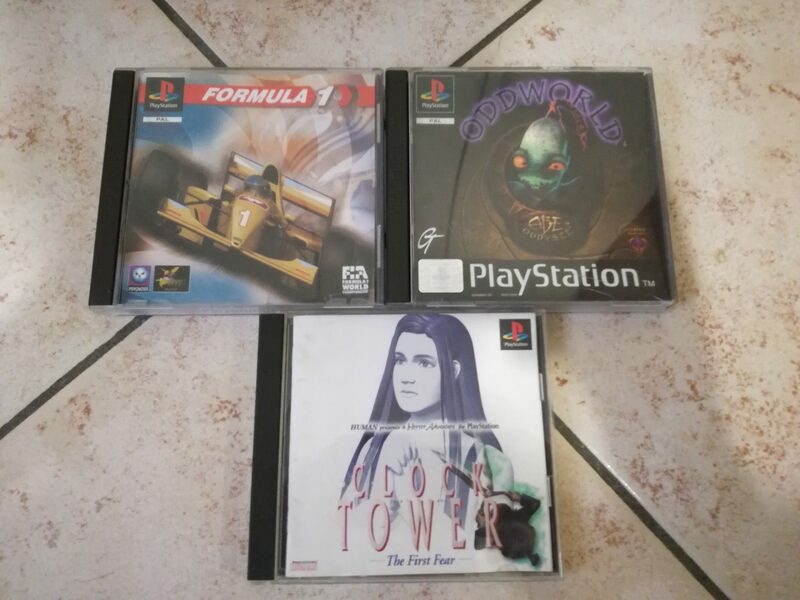 Three very diverse games instead for the PS1: one is the loved Abe’s Oddysee, one of the games I’ve played the most on the console and, in my opinion, one of the best action-platformers ever, then Formula 1, another game I’ve extensively played in the past, being a lover of the sport and a nostalgic of the 90s and in the end Clock Tower, in version J-NTSC (the PAL version is way too expensive for my finances, since it demand prices above 100-150€). 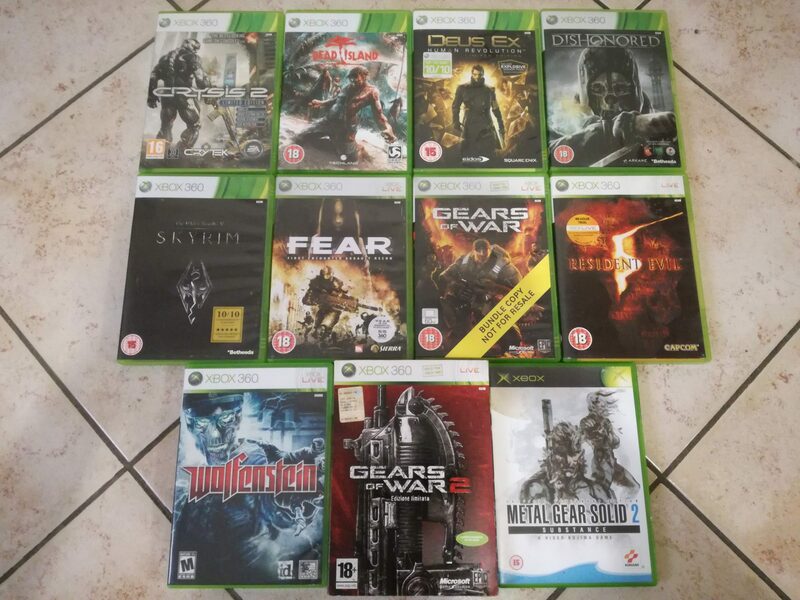 This month we have again a lot of PS2, Xbox 360 and NES games. Last but not least the NES. 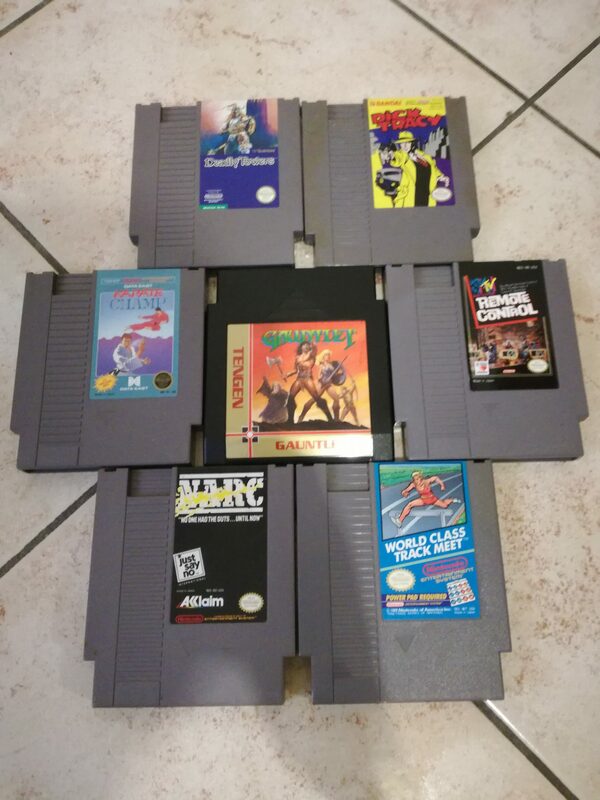 The games this month are not particularly remarkable, with the exception of the infamous Karate Champ that I want to play after the horrible reviews I’ve read about it (I love crappy stuff…) and Gauntlet, which is the first unlicensed game I have in my collection and it’s even one of the games of which I have different versions: Master System, C64, ZX Spectrum and now NES. A good starting point for the long-procrastrinated [Versus] column. 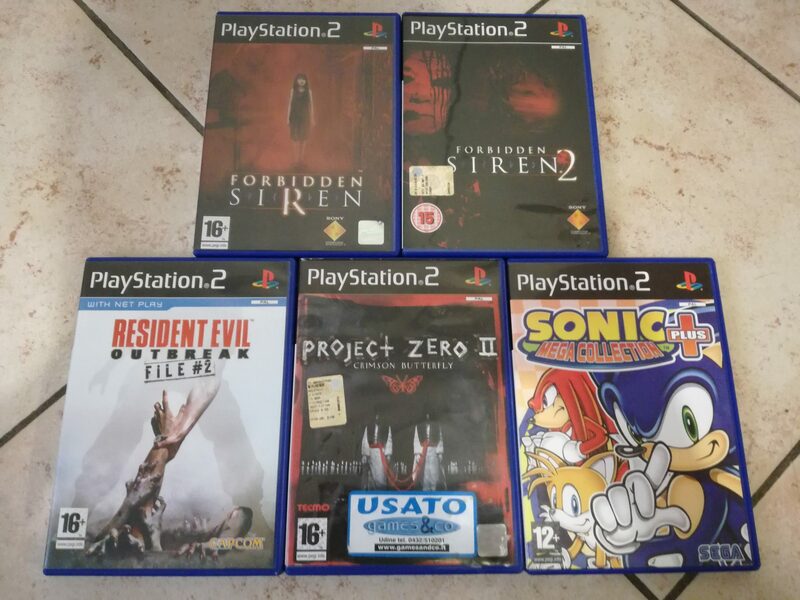 You’ve got some great horror games for the PS2! How much did you pay for them if I may ask?